Volkswagen Ireland has announced details of its 182 campaign which includes Technology Upgrades across the range, 0% APR* PCP Finance on many models, Purchase Contributions of up to €2,000 and discounts on R-Line equipment packs. Entering the 182 registration period, Volkswagen is Ireland’s number one car brand and features a thoroughly revised line-up. The all-new T-Roc, all-new Tiguan Allspace and new Polo models have become successful and significant members of the Volkswagen line-up just months after their introduction. The new Arteon is breaking ground in its segment thanks to its superb good looks and it is now available with a new petrol engine, this adds up to a more competitive customer offering on this model. And 182 also sees the introduction of an all-new Touareg model, which comes with a breath-taking array of new technology. The new Arteon is available with 1.9% APR* PCP Finance from just €399 per month. Technology Upgrades group some of the most desirable technology features for a special bundled price. Highlights of these include, on the New Golf Highline model, Discover Media SatNav, High Beam Light Assist, a Rearview Camera and a Winter Pack (with a value of €1,711) are available for just €699. The New Golf Highline is also available with PCP finance from 0% APR allowing a monthly repayment of just €279 per month. An R-Line Exterior Pack for the car is just €899, saving €352 when compared to the full retail price. The Polo Trendline model comes with the option of a Technology Upgrade which includes multi-function steering wheel, driver alert system and Multi-Function Display plus which would too cost €861 if these items are priced individually, but with the 182 offer, cost just €499. The Polo Trendline is available with 3.9% APR PCP Finance* from just €179 per month. For a limited time only and while stocks last, there is a Polo Launch Edition available with 1.9% APR PCP Finance*. The new T-Roc model has received critical acclaim from Irish Motoring Media for its sharp looks, composed driving dynamics and customers can avail of some special 182 offers with this model too. As well as a special 3.9% PCP Finance offer** on all T-Roc models which are available from €279 per month, customers opting for the Technology Upgrade in the Sport model get Discover Media Sat Nav, a Rear-View Camera, the Winter Pack and a Panoramic Sunroof for just €1,499, a saving of €1,300 compared to the full retail price for these items. 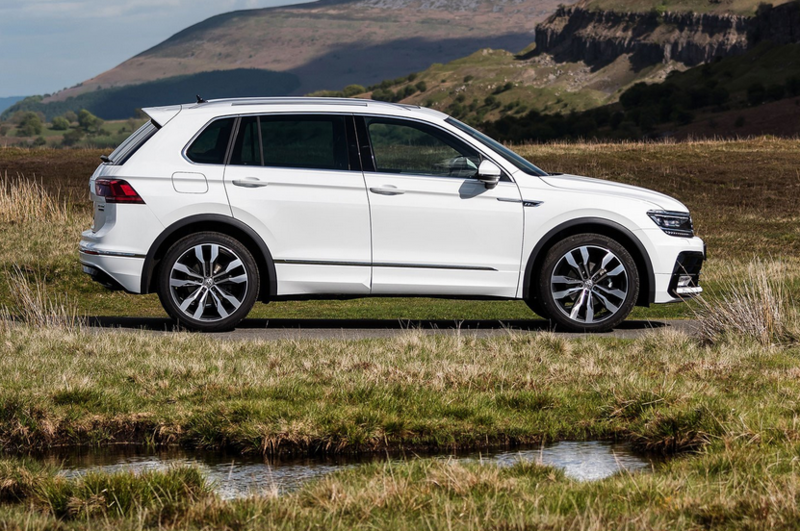 The Tiguan Highline benefits not only from a €1,000 Purchase Contribution**, but there is also 0% PCP Finance available for orders placed before June 30th with a €339 monthly repayment on the 150bhp 2.0-litre TDI. For the Tiguan Highline, the Technology Upgrade includes a Panoramic Sunroof, the Easy Open Package, and Driver Assistance Package, which priced individually cost €2,879 but are bundled for just €1,119. There is also an offer of an R-Line Exterior and Interior Pack for this mode for just €1,799, a saving of €923 compared to the full retail price. The Tiguan Allspace model, available with seven seats also benefits from 182 offers, with a €1,000 Purchase Contribution** and also 0% PCP Finance* available on the Comfortline model from just €359 per month. The Passat Highline range gets a €2,000 Purchase Contribution** and now is available with a Heated Steering Wheel, Park Assist 3.0, Keyless Entry, App Connect including Apple CarPlay, with a combined value of €1,254, all for €399. The Passat Highline is also available with 0% APR PCP finance with a €299 monthly repayment on a 1.6 TDI. Also, an R-Line Exterior Pack for the car is just €999, saving €475 compared to the full retail price. There are similar offers for the up!, Golf SV, Jetta, Beetle, Scirocco, Touran, Sharan and Touareg models with savings of up to €4,530 to be made with these Technology Upgrades as well as the Purchase Contributions of up to €2,000 and 0% PCP Finance on many models.